Fonts should be at least 15 pt. Use preferably the PMS color code(s) or else CMYK as the color mode. For the best result we advise you to make use of uncoated PMS colours for products printed on textile or products with a textile structure. Otherwise if you do not know what PMS colours are, you can submit your design in CMYK colours. You can find here more about the different colour modes. Cotton bags are the replacement of your plastic bags. 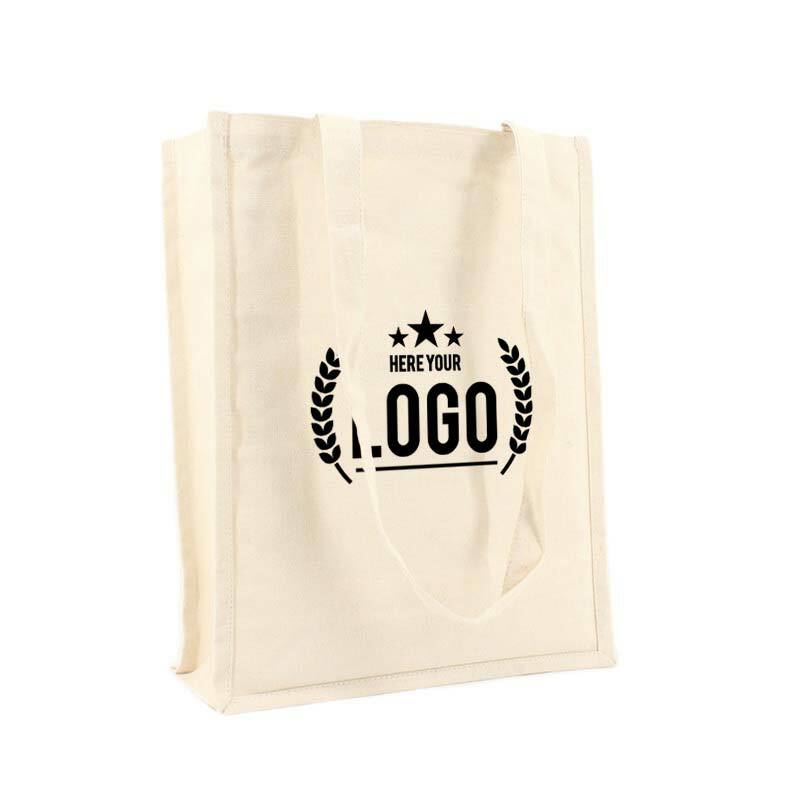 These bags are used very often as promotion material. They have a great look and are available in many different colours! Screen printing: in this technique, products are tensioned and then placed under a screen. A layer of ink will be lowered on top of the screen. The ink only adheres to the part of the screen that is permeable (your imprint). For the delivery of your premium canvas bags we use multiple carriers. Because of the highest reliability, in most cases we use UPS or DPD. Of what material are the Premium Canvas Bags made? Are Premium Canvas Bags water proof? No, Premium Canvas Bags are not water repellent. With Helloprint's Premium Canvas Bags you will not need to worry about wasting a single penny. Your logo or company design will be printed on durable and high quality cotton material that's satisfyingly sturdy and easy on the shoulders. Your customers will surely appreciate this bag for its trendy style and quality feel that all in all makes a very practical giveaway gift.